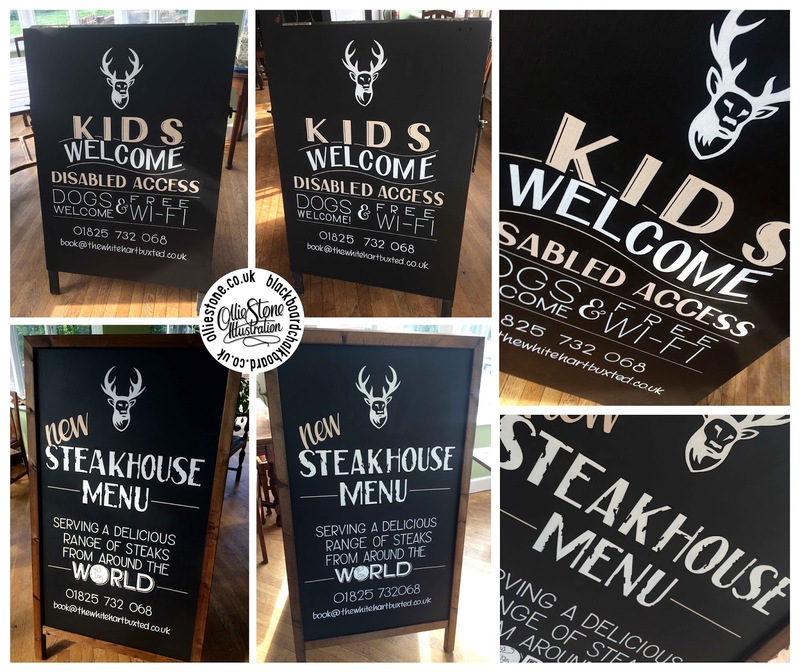 Pub, café, shop and restaurant signage. 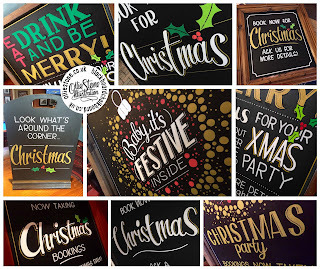 Book now for Christmas! 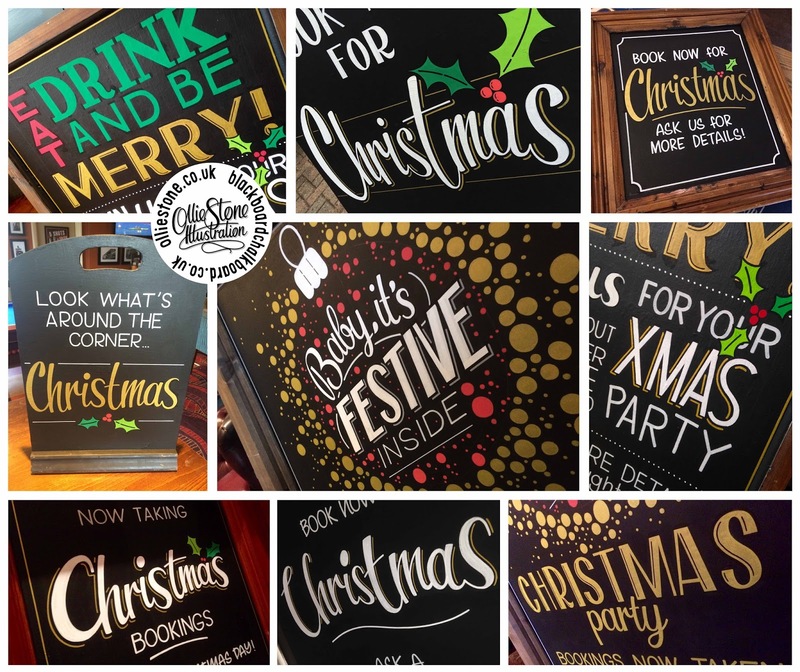 NOW TAKING BOOKINGS FOR CHRISTMAS AND NEW YEAR'S EVE SIGNAGE! 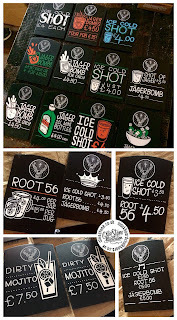 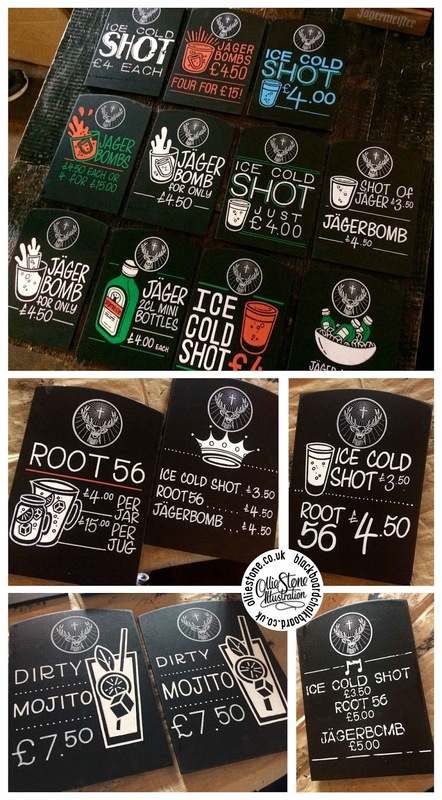 Tombstone boards for Jaegermeister, London. 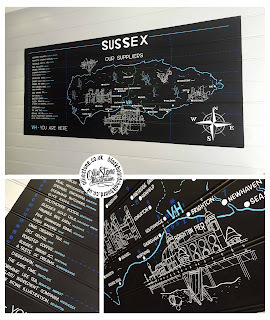 Provenance chalkboard wall for V&H Café, Hove. Assorted pub signage for The White Hart, Buxted.